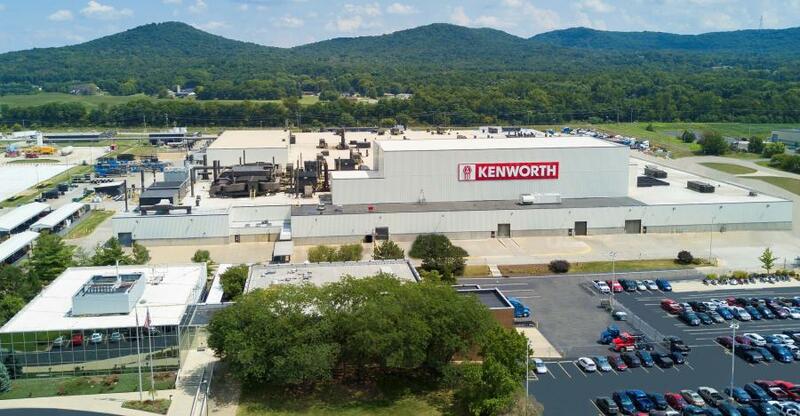 The Kenworth manufacturing plant in Chillicothe, Ohio, was recently recognized by the Ohio Environmental Protection Agency for reducing its hazardous waste footprint by more than 2.7 million lbs. The Kenworth-Chillicothe manufacturing plant recently received the 2018 Encouraging Environmental Excellence "E3" Gold Award from the Ohio Environmental Protection Agency. The award recognizes businesses, nonprofits and government agencies in Ohio that demonstrate commitment to exceed regulatory compliance and attain exceptional achievements in environmental stewardship. Kenworth-Chillicothe was one of just 12 organizations in Ohio that received either platinum, gold or silver award recognition, and one of only five organizations to achieve the Gold Award this year. "This recognition was achieved through the dedicated efforts of our employees who pursue and achieve outstanding levels of environmental excellence and sustainability every day," said Rod Spencer, Kenworth-Chillicothe plant manager. The plant was recognized for reducing its annual hazardous waste footprint by more than 2.7 million lbs. and reclaiming approximately 70 percent, or 3.1 million lbs., of its waste solvent stream. In addition, so far in 2018, Kenworth-Chillicothe has diverted more than 3 million lbs. of waste into energy generation in lieu of landfill disposal as part of its Zero Waste to Landfill program. Since its commencement in March 2016, the program has enabled the plant to save more than 443,000 cu. ft. of landfill space. The Kenworth-Chillicothe plant's environmental efforts include participation in an American Electric Power Ohio program that produced savings of more than 2.8 million kwh at the plant over the past 12-month rolling period compared to the same period in 2017. The plant saved 1.52 million gal. of potable water through a project that repurposed wastewater for use as a concrete ingredient in the construction of a 400,000-sq.-ft. truck staging lot. Tank and pond systems used to collect rain and snow melt serve as an alternative source to city water for application as a dust suppressant on gravel roads and parking areas, as well as a backup water supply for the plant's fire suppression system. Since the start of 2017, Kenworth-Chillicothe has eliminated more than 28.8 million lbs. of volatile organic compound emissions from the atmosphere via onsite thermal destruction. Kenworth-Chillicothe also reuses various plastic and metal drums, repurposed from raw material products used in the truck manufacturing process, to contain waste materials. The plant also donates off-specification sleeper mattresses to multiple homeless shelter organizations, and contributes truck rail bracing wood to other community assistance organizations for use as firewood. Kenworth's heavy-duty manufacturing plants in Chillicothe, Ohio, and Renton, Wash., have both earned ISO 14001:2015 certifications for their environmental management systems, which support the production of trucks in an environmentally responsible manner. Kenworth medium-duty trucks are produced at the PACCAR Ste-Thérèse, Quebec, manufacturing facility, which also has achieved ISO 14001:2015 status.